Adventures of a Gender Rebel: Closet Be Gone! Well, I'm out. Yes, I've finally outed myself a transgender woman to basically everyone in my life. In fact, I just got back from a trip to Chicago where I attended a baby baptism and the party afterward. Both were rather jam packed with Kath's family members including her parents, brothers and sisters, aunts, uncles, cousins, nieces, nephews, plus some neighbors, friends and casual acquaintances. It was a lot. I'm still kinda processing all of it actually. It was a lot. It really was and it really took a lot out of me. There were a lot of fun moments on this trip, but it also left me feeling more exhausted and stressed out than I've felt in a long while. It's my first day back and I still feel that way. The family was (mostly) good, far better than I could have expected and I'm super relieved that things went pretty well. But like I said, I'm still processing all this. Am I glad I did it? Absolutely. There's no more double life for me or for my partner. Things are simpler now. Things are better now. I flew for my second time as a trans-woman and it went well. 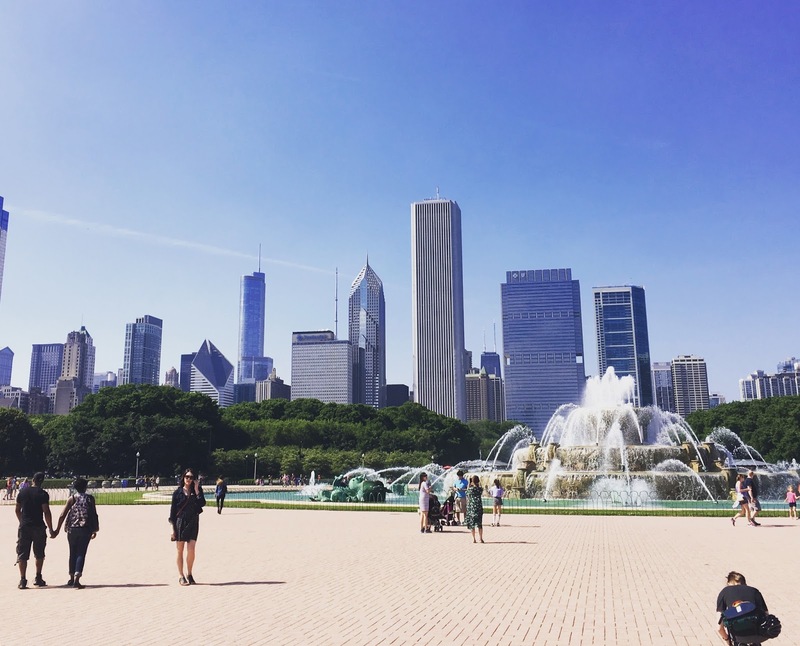 I got to do some cool Chicago stuff. And I'm out to everyone now. It went well. It's all good. But I need some time to process. So, at some point in the near future I will be posting all the details and sharing all my amazing Chicago pics. But in the meantime, phew. Give me a minute first okay. In addition to the family events, I hope you got the chance to visit the "Electric Kidney Bean" in Millennium Park. Congratulations on a successful and happy outing - in more ways than one!!!! We were near there this time (see pic above) but didn't go quite that far north. Maybe next time. You are so fortunate to be part of Kath's accepting family. Congratulations Kath on being part of such a wholesome family. I am so happy for you. You are inspiration to us all. Well maybe not us all but definitely to me. Well, I'll enjoy anywhere where I can get a hot Italian beef sandwich with hot giardiniera. You rock, Faith. I'm really glad to know you as well as I do. I'm happy the (your) family was (mostly) good and hope in future visits, it won't be so stressful.